We all reap the benefits of living in an electrified world. From the simple convenience of switching on a light when it’s dark, to the amazing miracles of modern, life-saving surgery, from the at-your- fingertips communication capabilities of your phone to the wonders of space exploration – none of these things would be possible without electricity and our harnessing of its powers. As you read this, just think of everything you have done today that, in one way or another, has been powered by electricity. Perhaps it is the sheer ubiquity of electricity in our everyday lives that can make us forget that, unless we treat it with respect, it can also be extremely dangerous. Most of us are in the dark when it comes to the technicalities of electricity! Which is where we come in – accredited electricians who know the problems that can arise and how to deal safely with them. 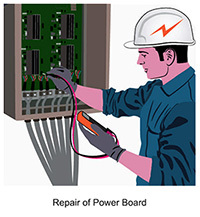 Damaged equipment or tools – do not use them – get them repaired or replaced. Faulty or inadequate wiring – call an accredited electrician. Any problems with overhead power lines – ditto. Anything electrical behaving in an unusual or erratic manner – ask an expert. In short, anything electrical with which you are not familiar or experienced, should be dealt with by an expert in the field. They will know what to look for and how it should be dealt with in the safest way. Always remember, be safe, not sorry – rely on an expert to put your mind at ease and to help keep your tumble dryer tumbling, your cooker cooking, your kettle boiling, your TV transmitting and your lights shining brightly! 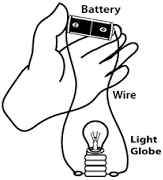 Flickering of lights can be a sign of a defective bulb, overloaded circuit, loose light bulb or light fixtures. If the light keeps flickering constantly after replacing the bulb and the problem persists then there can be a wiring problem. In this case you need to hire an electrician to diagnose the issue. If your circuit is breaking constantly when your circuit is overloaded then you need to check the wiring of your home. The problem can be because of high voltage or power failure which can be best diagnosed by your electrician. They will take suitable action to resolve the issue. A burning smell around outlets is not a good sign as this can be a serious problem and need immediate attention. Warm outlets can occur due to an overloaded outlet, loose wires or faulty switch. To resolve this problem immediately turn off the power and call a professional electrician immediately. 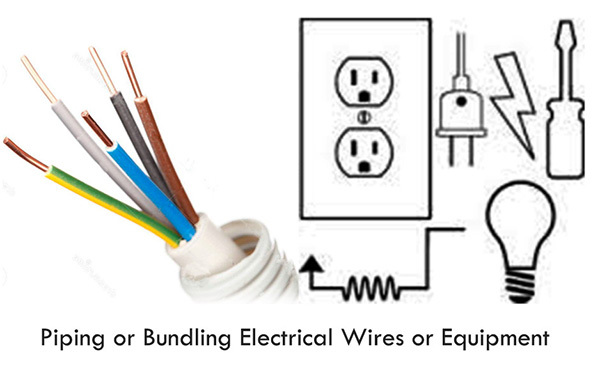 If you feel an electric shock while plugging or touching the switch there can be a wiring problem. 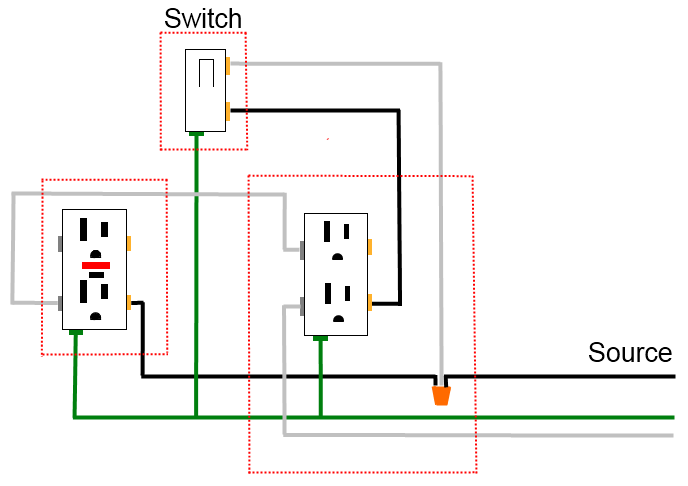 This can happen when two wires touch and current flows creating more heat than the circuit can handle. Most people misunderstand the term PAT and believe it is a process which needs to be repeated annually which is not always the case. However, the main purpose of PAT is to maintain equipment which can cause danger to property or an individual, and to keep them updated with safe electrical equipment. The code of practice as published by many organisations suggest what types of equipment require testing and how often they require testing for better use and efficiency. Do you know that there are more than 1,000 major electrical injuries reported each year in the UK alone? These major injuries can be burns or electrical shocks and around 40 of them are fatal. There is no legal requirement of PAT testing, however, to ensure the best results and for safety, one should get testing of any equipment which seems not to be working well. Although there is no strict requirement of PAT in UK, and there are several safety and health organisations who expect you to check working equipment on a regular basis or risk being fined up to £5,000. No one knows when a minor fault can turn into a major one and pose a potential hazard so the consequences of ignoring this should be considered carefully. Question: Is PAT testing a legal requirement? Answer: The answer we’ve mentioned in the above section is no, there is no legal requirement for PAT testing in the UK, but to have an injury free and safe property one should have it done as suggested by an electrician. Question: If there is no legal requirement, why do we need to worry about it? Answer: There is no legal requirement, but anyone found responsible for poor safety may be fined up to £5,000. The list includes, the user who is using equipment, administrator without having the proper knowledge, and building service manager, etc. Question: How often do we need to go for PAT? Answer: Annual checks for PAT are recommended to ensure the best safety possible. So ensure the best safety possible, we’ll advise customers to have their equipment tested by their electrician as per their advise. Are you seeking an electrician and contractor specialising in BMS local to Bromsgrove, Stourbridge, or Telford? Building Management Systems, or BMS help regulate the operation of a building and monitor aspects such as the flow or air and CO2 exchange. Sometimes these are integrated alongside energy, environmental, communications, and security systems too. The benefits are BMS are increased control and efficiency – all aspects of the building can be overseen and managed from a central point. A properly designed and implemented system will have benefits in energy use – for example lighting that is motion sensitive is increasingly popular in buildings from office blocks to municipal leisure centres. Collating information about energy use patterns can also enable building managers to identify inefficiencies, and to compare usage across multiple sites. With all these elements brought together and increasingly digitised, it is possible to have remote or potable control, through internet connectivity, and to use advanced levels of analysis. As an electrician and electrical contractor based in the Bromsgrove, Stourbridge, and Telford area, we are specialists in BMS installation. We offer a range of services to the industrial, commercial, and domestic sectors, and our work with plant and large installations contributes to us being able to install and maintain complex BMS. If you are planning to install BMS, or to upgrade existing systems, we can offer an experienced, multi-skilled team, and excellent contract delivery. What buildings can benefit from BMS? We have installed systems in buildings covering a wide range of uses: retail spaces, offices, industrial and agricultural complexes, for example. If you want to find out if you could benefit from BMS, get in touch today for more information. An electrician is a person specially trained and qualified to deal with the design, installation, repair,inspection, and maintenance of electrical systems and appliances. An electrician is the right person to call if you need an electrical circuit fixing or any work involving a mains electrical current. Be it at home or in the office, a good electrician should be able to provide the services you need, with minimal disruption and clearly stated fees. Many electricians may be experts in a particular field, with specialisms such as construction, residential, commercial or industrial electrical engineering. There when you need a repair, or for the installation of everything from lights and electric cookers to burglar alarms, this electrician is the one most of us might call from time to time. If you have any doubts about the safety or proficiency of your household electronics, a professional electrician will be able to offer sound advice. An electrician experienced in working in their customer’s homes should be able to work tidily and with consideration for you and your interior decoration. A commercial electrician will be an expert in the increasingly complex electrical systems found in your average office or retail space. Working with IT, security, emergency, and environmental control in addition to basic power supply and lighting circuits, a commercial electrician is more and more likely to be knowledgeable about automation and the centralised control of a building’s operation. A good commercial electrician will coordinate effectively with other technicians as required, from lift engineers, to IT specialists. An industrial electrician will specialise in the needs that are particular to sites such as factories, farms, workshops and areas utilising heavy machinery. This job requires experience and expertise in working with additional hazards, such as moisture and high voltages. If you run an industrial installation you will rely on this kind of electrician for all kinds of day to day maintenance, repair and inspection work, as well as electrical engineering and design solutions. Electrical contractors can specialise in the installation of systems in new build developments, both residential and commercial. They will be experienced in working alongside other onsite technical teams overseen by the project manager, and may be responsible for the design and placement of circuits in addition to their installation. As an electrical contractor on a building site you may be required to find solutions as you work and adapt to changes in spec as the building progresses. You will certainly be an expert in buildings regulations and the safety and quality standards required of the systems in any new construction. 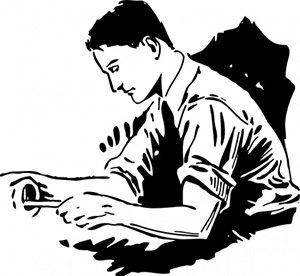 No job is too big or too small if you have the right kind of electrician on hand. From a quick repair or fitting at home, to the installation of your new integrated IT and security systems at sites across the UK, it’s just a matter of knowing what service you need and who is best to supply it. Always ensure a qualified electrician carries out any work on your home or business, as mistakes can pose a serious risk to health and safety.